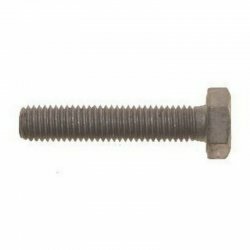 Set screws are similar to hexagon bolts, with the exception of being fully threaded instead of an un-threaded shank. They have a six sided head to allow for tightening via a socket wrench or spanner. Set screws are used in a wide variety of applications, although primarily in the construction industry, steel fabrications, machine building and automotive parts. They are also available in a variety of finishes depending upon the installation environment.